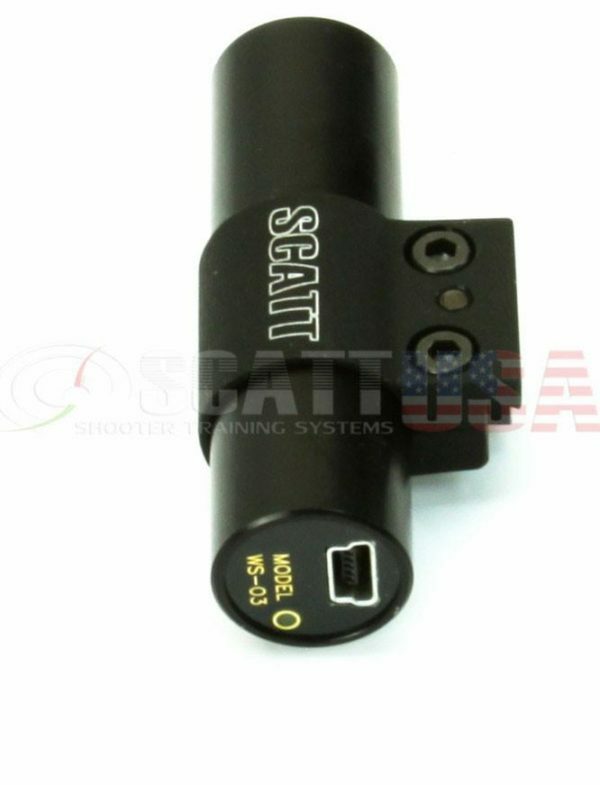 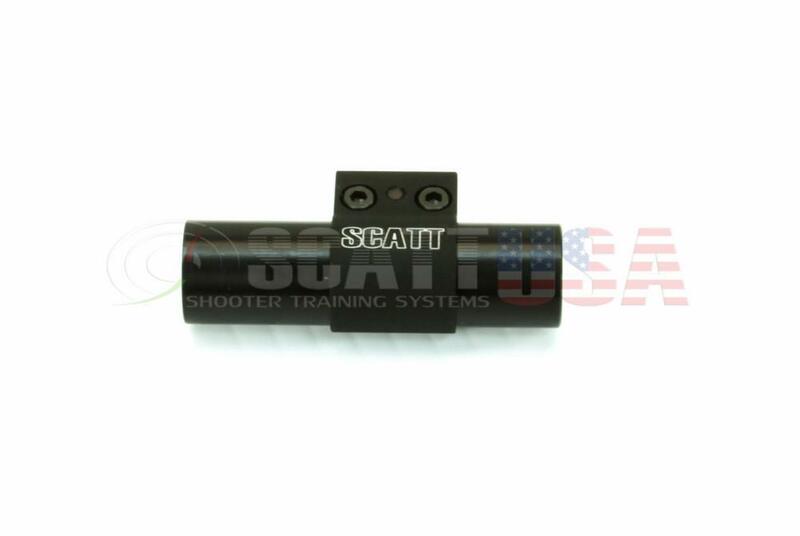 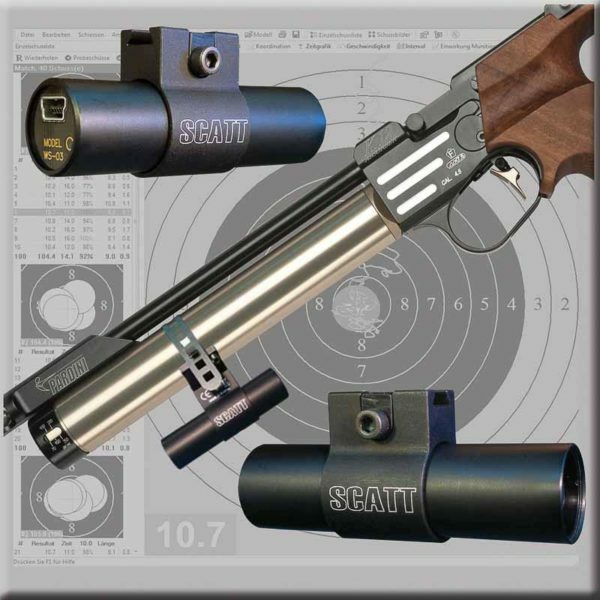 SCATT WS1 — is a smart choice for shooters who don’t want to have any wires running to their gun. 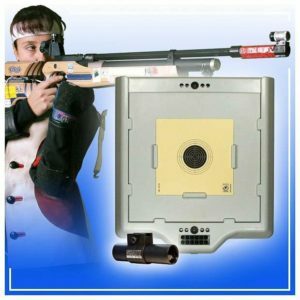 This dry-fire trainer can be used for fixed target training at real distances from 5 to 12 meters and can simulate dry-fire shooting up to 1000 meters. 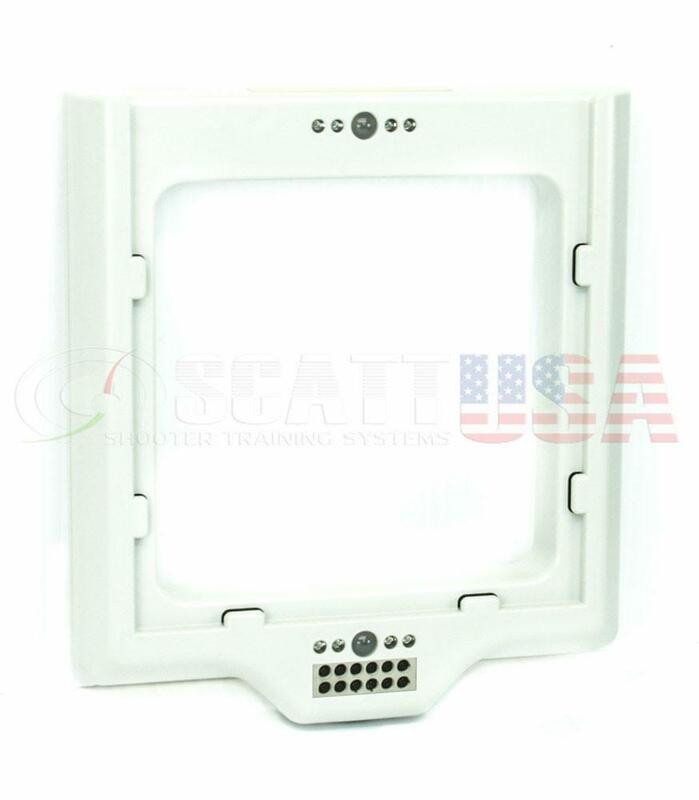 The unit has two main electronic components. 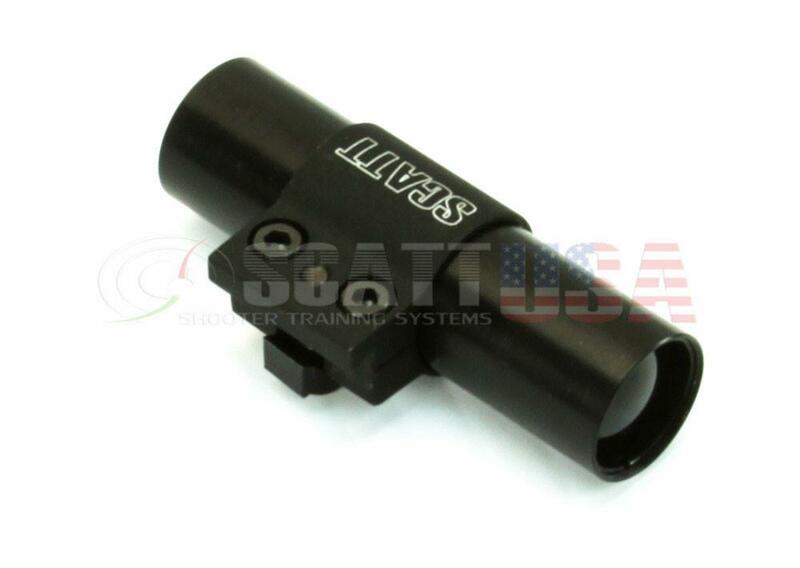 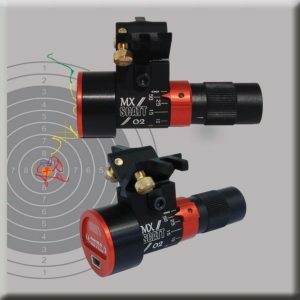 The first one is the optical sensor, which mounts on the shooter’s gun. 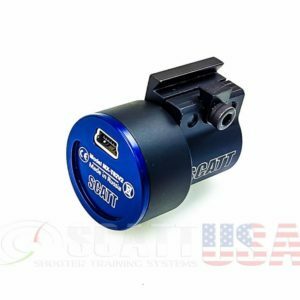 The wireless WS-03 optical sensor has a built-in battery and can be recharged from the USB port of your computer. A full charge requires roughly 1.5 hours. 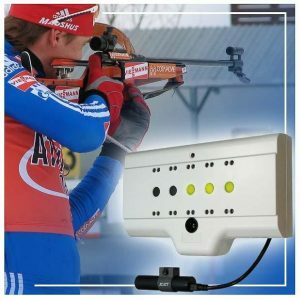 The battery life is approximately 30 hours of continuous aiming (about 10,000 shots with an average time of sighting of 10s). 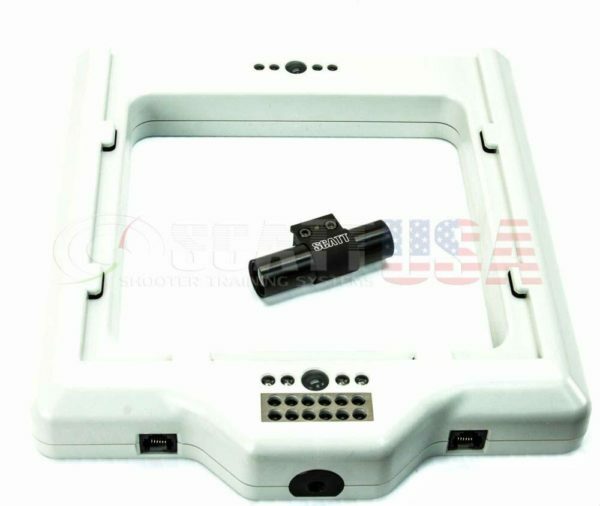 When idle the sensor automatically switches to sleeping power mode. 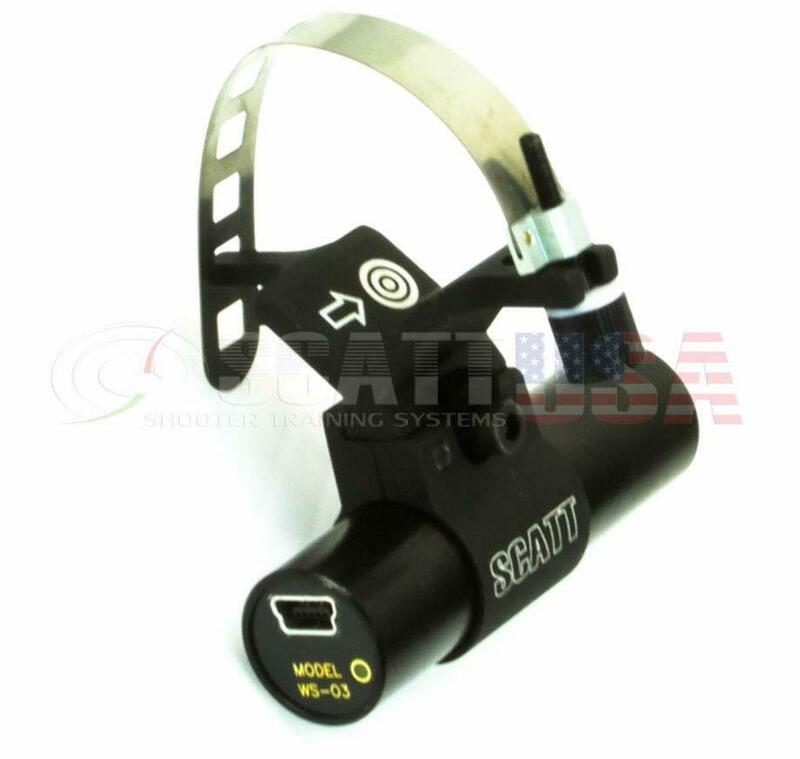 The sensor is very light and weighs only 30g. 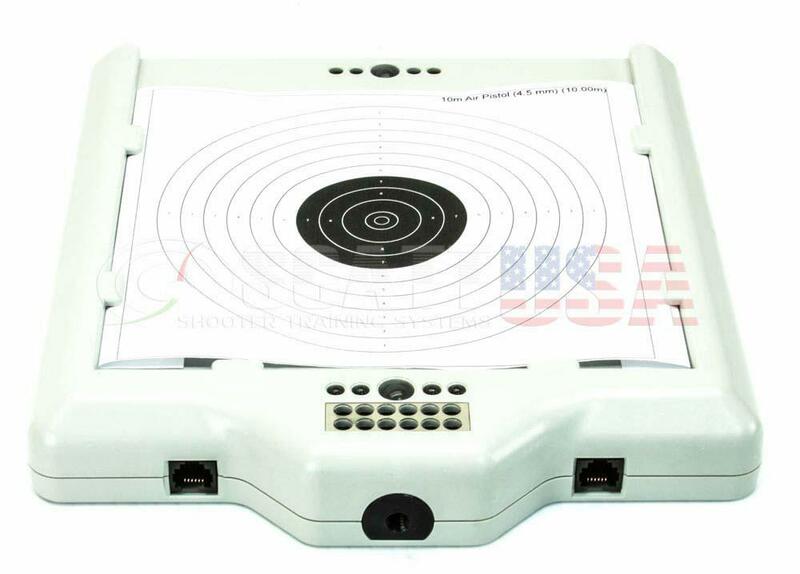 The second electronic component is the electronic target frame, which is literally a frame into which you can insert paper targets of your choice.